MinFin Out Going Press Briefing June 20, 2018. And while this is goodbye as Minister, I have a feeling that wanted or not wanted, asked or not asked, invited or not, I will on occasion provide my two-cents as citizen Mike Ferrier, when I think it is warranted. So, I ask your patience, as this may be a little more long winded than usual, but I believe it is the right way to close my tenure. Back at the start of this assignment, we knew that it was going to be quite a job after Irma, with hardly any money in the coffers and very little trust, if any, from our Kingdom partner Holland, who in the mean time back in November had offered the generous amount of 550 million Euros to help us out of the Post Irma mess, albeit with conditions. My marching orders were to get as much of those 550 million pledged Euros as possible in the form of a grant ( a gift) rather than a loan. Fast forward to April 16, 2018, we were able to get a firm commitment for 470 of the 550 million or 85% of the total in the form of a grant. But I am getting ahead of myself. Back in January, Government was facing a financial crisis and unfortunately still does. Getting to actually SPEND the 470 Million Euros to bring relief to our people in dire straights, would be a whole other story. First order of business, was to get much needed liquidity support to keep government operational. By February 26th, State Secretary Knops and I were able to sign the first 50 Million Guilder liquidity support loan documents that provided St. Maarten with a 0% interest, 30 year loan, with no payments due for the first 5 years. That arrangement gave Sint Maarten some financial breeding space. From the onset, we expressed our desire to develop practical solutions in order to tackle the multiple over arching, cross-ministries’ challenges. Having been able to watch our predecessors function as if there were 7 different governments instead of 1 government with 7 different ministries, we made a commitment to not make that same mistake and I am proud to say that in hind sigh, the Leona Marlin Cabinet 1 succeeded to almost always deliver on that commitment. From the onset we also realized that a lack of trust in the body politic of SXM by the Dutch Government needed reversing, if not, at least greatly improving. The return of mutual respect needed to be sought and massaged. I believe on this front we are well on our way, overlooking a few hiccups. 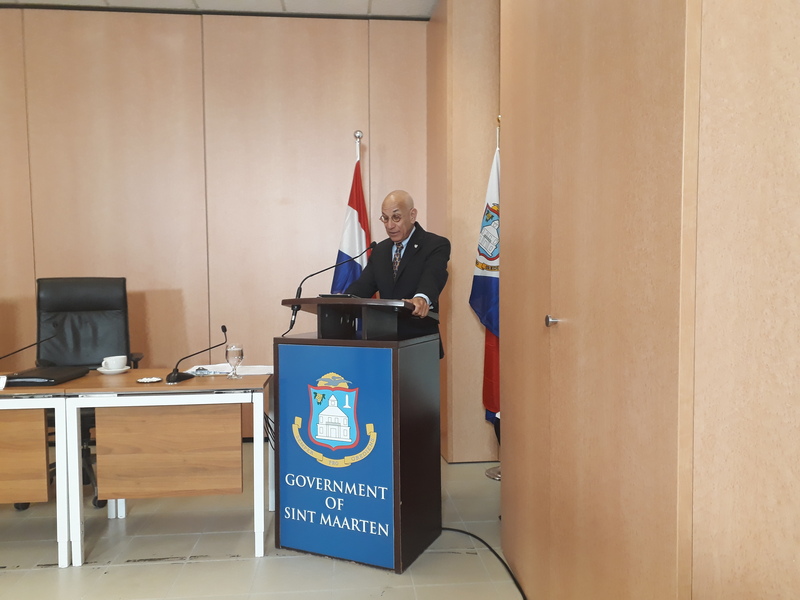 On Tuesday February 6, 2018, the Ministry of Finance of the Government of Sint Maarten organized a Round Table Conference “Sustainable Financial Government,” with the Netherlands, the World Bank, the International Monetary Fund (IMF) and the Committee for Financial Supervision of Curacao and Sint Maarten Cft. The goal of this conference was to get all parties together and to have an open dialogue on the way forward to a financial sustainable St. Maarten and also how to achieve progress in bringing relief in the short term to our people. This last goal unfortunately is still a work in progress. From January to now a tremendous amount of people-hours has gone into learning the rules of engagement on all levels and personally I am convinced that we are now closer to that pot of gold at the end of the rainbow than we have ever been. Working together in the Council of Ministers to solve practical problems to ease the pain of our people, in spite of the acute lack of sufficient funds, has been truly inspiring. My respect goes out to the many hardworking civil servants I have come to know throughout the organization and at the same time it is my hope that the others will step up to the plate and realize that being able to serve the public is a privilege. The budget 2018, was the big item on our TO-DO list, and it took our experts quite some doing to prepare it, and then for us to defend it in Parliament and to the Cft, given that it is not a balanced budget. Just like 2017, our reality is that of more expenditure than income. Thank goodness because of this amazing half of an island’s resilience, our deficit is lower than first feared, but the reality is we still have serious financial challenges. But this really is not rocket science…. the faster we get the economy humming, the less dependent on outside help we will be. We need our airport back, we need our hotel rooms back, we need inexpensive loans to be made available to keep the doors open of proven businesses with good track records, now in dire straits because of the post Irma slowed down economy. We need to start a top-of-the-mind-destination-awareness campaign, letting the rest of the world know that we are well on our way back, so that come this Christmas Season except for some scars, it will be like it never even happened. To this end in an effort to seek additional funding besides the Dutch/World Bank Trust Fund, we are working with the Central Bank and have requested the Cft to give their advise on our idea to float a bond to on short notice help fund the above mentioned very short term goals. In the past 5 months we have been able to work on cost-cutting measures and I am thrilled to say that in yesterday’s Council of Ministers meeting we passed a 33 item list of these cost cutting measures of which 4 of them are subject to our Parliamentarians approval, which I am sure we will undoubtedly get. 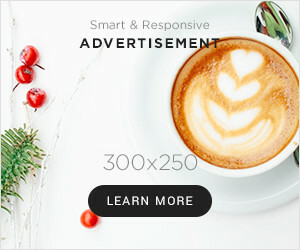 I am also pleased to finally be able to share the list of measures with you, with the footnote that many of the legally regulated items, will require a voluntary sign off by all those affected, but who want to do their bit of contributing to SXM’s solution, rather than to its continued problems. We have also made great strides in advancing the efforts to improve our tax administration and collection system. These preparatory actions are needed if we are to maximize the scarce financial resources at our disposal. I have my successors commitment to keep on this vital track. To improve our income, we have been working on every front. The pension reforms for government workers, is back on the front burner. Government built up significant arrears to APS in the last years. Part of the problem is that the pension system is no longer feasible in this modern day and age, where people live longer and want to work longer. Also, investments don’t return what they used to and costs are skyrocketing. As such, the pension fund has been working on reforms together with government. These reforms are also required by the Cft. The pension system is now scheduled to go into effect at the start of 2019. The benefit to the bottom line of government, especially in these tough financial times, is significant. With the changes, government will be able to meet the financial obligations and eliminate financial arrears. This is good for the pension fund and ultimately for the future retirees. I have also taken good note of under performing areas of income to government. One of these is that which has to get to Governments coffers through the Bureau Telecom & Post, the so called BTP. Reports about the BTP show that the institution should and can contribute more to government. The concession and spectrum fees are collected on behalf of and should be transferred to government after deduction of reasonable operational costs. In the last years BTP has not contributed anywhere near what government expects. The inefficiency and lack of legal compliance at BTP needs to change, so government can receive its fair share. To this end, we have prepared recommendations for measures to be taken at BTP and these will be made available to the minister of TEATT, who by law is the responsible Minister . I believe that the first order of business is accountability. BTP needs to give proper account for its operation and ensure that the income due to government is transferred to government in a timely manner. I had hoped to see these measures through to implementation, but am convinced that this initiative will be continued. The need for funds certainly isn’t going away soon, and government needs to maximize revenues. While heading the Ministry of Finance, efforts in getting our financial statements in order were promoted and pushed. When we entered office, the financial statement for 2016 had not been prepared. It is late. The ministry is now working on getting this statement completed and sent to the auditors and parliament. Speaking of which, the backlog in handling the financial statements of previous years, is also underway. The General Audit Chamber, the Cft and others have made it clear that this is not a positive trend. If the schedule developed at the ministry is followed, we can get this done before the end of the year. Key for all of us to understand is that practical solutions can always be found. But will and desire has to be part of the solution. I want to also take the time to address the issue of the government-owned companies. These are strategic companies, that have been placed at a distance from the government organization, but remain the assets of government. Putting them at a distance to avoid conflicts of interest is good, however, these companies, ultimately have to serve the broader interest of this community, this country. The people charged with managing and overseeing these entities have great authority, but also great responsibility. Just as ministers are responsible for the financial management and policy achievement of their respective ministries, so too are managing directors and supervisory board members responsible for the operational and strategic well being of the company they serve. When something goes wrong at a ministry, Parliament can call a minister to give account. Ministers can be sent home, with a motion of non-confidence. We have experienced government and parliament being sent packing for lack mismanagement and incompetence. Right now, we are experiencing the consequence of not doing the right thing, or taking action when we know something is wrong. It should not be so that the public prosecutor has to go into an NV to uncover problems that have been subject of rumors for years. We should be very concerned about companies taking on debt to unsustainable levels. These are our assets, and while they are limited liability entities, the failure of any one of them, could be catastrophic to all of us. Ministers are appointed as shareholder representatives for companies and other government entities, and should be very vigilant of what has happened in the past, and what is planned for the future. Bad management should not be rewarded. Incompetence should not be ignored, and breaking the law should be investigated and punished. We are about to get started with the reconstruction of St. Maarten almost 10 months after IRMA. The requirements, rules, procedures and bureaucracy has been hard for me to understand, but I realize that it is mostly a self-imposed burden. Successive governments have let things slide. The attitude has not gone unnoticed from the partners on the other side of the ocean. The help we have been offered comes at a price. I say, unless we have an alternative, let’s pay it gladly, but use the resources carefully to build a better country that will be better able to stand on its own feet. On a personal note: I leave today with a bitter sweet feeling. It was never my intention to stay on long. That was something I stated from the start. But I had hoped to achieve much more. Where I would have wanted to run with the ball, many times I had to walk, stand still and sometimes even backtrack… that was the frustrating part. Nevertheless, I believe a lot got done. There’s a budget 2018, another is being prepared, the financial statements are in process and backlogs are being worked away. Liquidity was arranged we kept the lights on and services flowing. Plans have been prepared and some are in execution. Most importantly, communication with stakeholders internally and externally is established. This was not a one man/one woman job…. it took a team to achieve. I want to take time to thank the wonderful people in our Cabinet, Jakira Bruinhard, Velma Windeveldt, Shadyra Francisca, Jaap van Duinkerken and Martin Hassink. I want to thank the two coffee room ladies Thelma and Mrs. Brown Girlie for all the bush tea they brought for me every single day, the ladies that I would meet every morning cleaning my office, all the professionals in the Ministry of Finance and throughout the government organization, as well as all others from inside and outside government who believed no challenge was too big and who I could always call on for help, guidance and advise. And lest you think I forgot you, a word of appreciation to the media. You got the message out, you kept me sharp.